The planet that rules the way we think and communicate with others is Mercury. So, it is important to know where it was positioned when you were born. Take advantage of how you use your intellect and get to know more about Mercury in Leo. Fire is the element of Leo (just as Aries and Sagittarius) and the Sun is its ruling star. The combination of the great energy of the Sun with Mercury’s is powerful. The way this people communicate will never go unnoticed. Those who have Mercury in Leo really believe in what they think and say the words in a taxing way. This strong word-of-mouth way may seem bossy and does not quite agree with other people’s opinions. They will insist on what they say to the death and will hardly admit that they may be wrong. This is a negative aspect of this Mercury and it needs to be worked on to make life easier with others. And not only the coexistence with others, but also with you. We often learn from other people in a way that we do not even realize. Lessons come in the form of advice and informal conversations, and if you let arrogance aside, interactions can be very helpful. 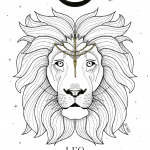 As Mercury in Leo sins in humility, they feel free to command. They are people who love to give orders and do it with mastery. Their magnetism and convincing power will attract others without too much effort. Do you know when we had to present a work at school and nobody wanted to do it? If we had have a Mercury in Leo in the group, we would not have to worry. They are great speakers because they are uninhibited and have confidence in the way they communicate. They would make great politicians too. The ability to focus on their purposes is also enviable. Keeping focus on whatever mental and even physical activity will be no problem for this Mercury. The Sun’s energy leaves these people’s fuel tank always full. You will hardly see them tired and down. Usually they are animated people, who speak loudly and have lots of friends. However, they love drama and give theatrical air about things. They will not flee verbal clashes, and even begin their own fiery discussions as if they were on a stage. But this can even be seen as a positive point. The tendency to like discussions suggests that they are not afraid of facing problems. Hardly, you will see a Mercury in Leo procrastinating to sort things out. They are usually very persistent and will not give up on seeing a first hurdle. Actually, this will work to increase their will to get to the end line. And that works even if they are alone. Mercury in Leo enjoys company but if left alone in a war, they will participate in it anyway.